Having completed the G, the first domestically-produced tape recorder, in 1950, Totsuko launched the popular-model H (Fig. 5.1) in 1951, aimed at popularising the tape recorder. At ¥84,000, it was around half the price of the G. With a simple mechanical confguration of a single motor and two heads, it was also ingeniously designed to be easier to use, such as having a single knob to switch the tape operation and amplifier between recording and playback. The entire machine was stored in a trunk-like case, which showed that some consideration for household use had been incorporated into its design. In fact, the H was the first model for which Totsuko employed an industrial designer. In 1952, a year after the H, Totsuko launched the even lower-priced P (¥75,000) (Fig. 5.2). The main customers of both the H and the P were elementary and junior high schools as the machines were still too highly-priced for household use. Although Totsuko redoubled its marketing through advertising and public awareness, the tape recorder remained a largely unknown device in domestic circles. However, its capacity to enrich audio-visual education was being hailed in schools. With its scope of use thus expanded, it was only a matter of time before the school pupils made it commonly known about at home. Totsuko released the R in 1953 at a price of ¥50,000. The following year, it marketed the TC-301, an improved version of this model, as a “small machine for home use”. Although this model was simpler than the H and P models in terms of performance, the tape recorder began to spread through ordinary households in earnest thanks to the onset of mass production and mass marketing of low-priced products around this time. The speed of product development also increased; in 1954, the TC-302 - the deluxe version of the TC-301 - hit the market at ¥57,000. The following year, in 1955, Totsuko produced a succession of products as the leading tape recorder manufacturer, such as the premium TC-501 (¥84,000) and the two-channel TC-551 (¥135,000), capable of recording in stereo. In 1956, Totsuko released the TC-201 at the drastically-reduced price of ¥38,000, throwing the popular-model tape recorder market wide open (Table 5.1). Although Totsuko had achieved success with the tape recorder, it was always watchful of developments among the major manufacturers because of its own relative lack of capital might. It took great care to ensure the predominance of its own products by improving its product development capabilities and exploiting its AC bias patent. While Totsuko obstinately refused permission for other companies to use the Nagai Patent for AC bias, things eventually began to change in the industry, such as Akai’s insistence that its “new AC bias method” was not a patent infringement. This occurred around 1955, just when the dispute with Balcom and Armour had reached a conclusion (See Section 4.3.5). Although the regulatory authority, the "Ministry of International Trade and Industry" (MITI), had initially supported Totsuko’s position in the dispute with Balcom, it did have some misgivings about obstinate patent right claims in terms of industry development. Totsuko had taken great pains to ensure the predominance of its successful new tape recorder so that it could ensure enough capital to develop the transistor radio. However, Totsuko also recognized that to a degree it had already profited as a founding member of the industry, that competition was an inevitable factor in market expansion, including the export market, and the company was by now confident in its product development ability. In the light of this and other factors, in 1958 Totsuko decided to allow other Japanese manufacturers to use the Nagai Patent, provided that it was through Totsuko and NEC. This meant that the AC bias method required for analogue tape recorders was freely available for use (albeit with licence fees payable). More than ten companies started manufacturing tape recorders for consumer use, including Matsushita Electric Industrial, Sanyo Electric, Toshiba, Tokyo Electro Acoustic Company (later TEAC) and Yaou Musen (later General). Matsushita began research and development very early on at its central research institute. It took the lead among the latecomer manufacturers, releasing its RQ-201 (Fig. 5.4) in August 1958, right after the patent licence was granted. This set was manufactured by Matsushita Communication Industrial; a number of sets manufactured by Matsushita Electric Industrial proper were released in December the same year. After the war, the Ministry of Education set about promoting audio-visual education at the request of the GHQ, leasing 16mm projectors to elementary and junior high schools all over the country, among other initiatives. The NHK took charge of audio resources and started full-scale educational broadcasts for schools. This course of events gave a major boost to the popularity of the tape recorder and gave rise to a growing demand for tape recorders in schools. However, the early tape recorders were extremely variegated in terms of operation, specifications and terminology and there was no compatibility whatsoever between them. To rectify this, a motion was drafted by the NHK Science & Research Laboratories and enacted by the Ministry of Education in 1954 to specify the basic standards for the features required in tape recorders for educational use. The main details are given below. Popular-model tape recorders with built-in speakers, produced in Japan in accordance with these standards, went on sale from around 1955. At the same time, a variety of similar tape recorders from the West and other overseas countries were imported and sold domestically (Fig. 5.5). While the tape recorders for educational use (in schools) came down in price, they were quite bulky and seemed very much like business equipment; the smaller, more portable types were more popular for home use. The machines for school use had standard reel sizes from No. 7 (18cm) to No. 10 (27cm), while the machines for home use ranged from No. 5 (12cm) to No. 7. While a longer recording time was afforded by having as long a length of tape as possible on a reel, the price of the tape was a major factor for home use. To economise on tape consumption, a tape speed of 4.8cm/s was added to the existing standardised speeds of 19cm/s and 9.5cm/s. With the advent of the 1960s, popular models emerged in great numbers at greatly reduced prices. The demand also grew for tape recorders for studying at home (Figs. 5.6, 5.7). The time for great numbers of small-to-medium manufacturers in the industry had ended. The time had come for major manufacturers to take on the tape recorder in earnest, producing far superior machines. There was much competition between the popular models made by major manufacturers. Matsushita released the RQ-303 (Fig. 5.8), which used a dedicated No. 4 reel (10cm) and a tape speed of 4.8cm/s to make it smaller and more lightweight. At ¥10,000, around half the price of other machines in the same class, it was a major hit. In 1958, Tokyo Tsushin Kogyo changed its name to Sony Corporation, with the idea that merging the company name and product name would reinforce the brand name. In 1946, right after the war, the NHK started broadcasting so-called “man-on-the-street” interviews, run by announcer Shuichi Fujikura. The novelty of these “audience participation programmes”, in which the ordinary people became part of the cast, as well as the interviews on current public opinions, made these programmes very popular. At frst, the NHK used the disc-style recorder (Fig. 5.9) that had been used in broadcasting since before the war. Although it was portable, it was heavy, susceptible to vibration, the records had to be changed over due to the limited recording time on each disc and the recording level had to be constantly adjusted. These factors would have made it very diffcult to operate in the street. Around this time, portable tape recorders were being introduced from the United States. In 1951, the NHK began to use these for its “man-on-the-street” interviews. The model used was the shoulder-strap-style “Mini-Tape” made by Stancil-Hoffman (Fig. 5.10). Equipped with a No. 5 reel, this machine was capable of two speeds of 38cm/s and 19cm/ s. The DC motor rotated in sync with an internal vibrating oscillator (details unknown) as part of a drive system to produce a steady revolution speed. It was a dedicated recording machine, with the built-in valve amplifier only used for basic recording, although a small external amplifer, sold separately, could also be attached for monitoring. When Nobutoshi Kihara of Totsuko heard about this machine, he started investigating similar machines, referring to photographs and other reference materials, without ever having seen the machine itself. In March 1951, he started on a prototype, which he supplied to the NHK in July that year (Fig. 5.11). Despite the fact that he had the Mini-Tape to refer to, it is actually quite remarkable that he developed a working prototype in such a short space of time. It was configured quite simply with a valve amplifer dedicated to recording, a single recording head and no erasing head. Although this meant that the recording tape had to be demagnetised in advance, it was well received as a recording device for professionals, who actually preferred simplification if it ensured reliability. While the tape operation system and drive system resembled those of the Mini-Tape, no suitable DC motor could be procured domestically in those days. Kihara eventually settled for a hand-wound spring motor for gramophones (a Zenmai motor), made by Nippon Columbia. Fully wound, the spring motor could drive the machine for around four minutes. Ingeniously, Kihara incorporated an additional winding mechanism that enabled a No. 5 reel to operate continuously for 15 minutes. Having introduced the Totsuko shoulder-strap-style recorder, the NHK was immediately able to boost the manoeuvrability of its “man-on-the-street” interviews, which in turn boosted the popularity of its programmes. Ryuichi Yokoyama turned these “man-on-the-street” interviews into cartoon form with his “Densuke” character that appeared in the Mainichi Shimbun. The Totsuko tape recorder came to be known as the “Densuke”, based on this character, roaming the streets with his tape recorder on his shoulder doing “man-on-the-street” interviews about current events. In the broadcasting industry, this nickname came to be used to refer to outdoor-use recording machines. Totsuko registered the name Densuke as a trademark, using it as a pet name for its portable tape recorder. Although the name remained in popular use between professionals in the industry, it was soon forgotten in the everyday tape recorder world. However, the name once again gained popularity as the pet name for everyday tape recorders (see Section 6.11) when the “Cassette Densuke” TC-2850SD portable cassette deck (Fig. 5.12) appeared in 1973 along with a boom in live recording. Later, the Open Densuke (Fig. 5.13) and Elcaset Densuke (Fig. 5.14) appeared and the name Densuke became synonymous with the highly-portable tape recorder in the everyday tape recorder world. With its success in the domestic production of a shoulder-strap-style tape recorder, which had been adopted by the NHK as well as other commercial broadcasters, Totsuko set about researching and developing an even smaller magnetic recorder. An ultra-small magnetic recorder called the Minifon had been developed (Anmerkung : in 1950) and marketed in Germany in 1952 (Fig. 5.15). This was a wire recorder with 0.05mm steel wire as its recording medium and its minute mechanism contained in a tiny casing. It was confgured with precise detail, with forethought given to ease of use and stable operation. It could record, playback and rewind; appropriate tension on the wire at all times prevented it from breaking or jamming. In 1955, a magnetic recorder called the “Midgetape” (Fig. 5.16) appeared in the United States, based on the concept of the Minifon. This was a uniquely-confgured, ultra-small tape recorder that used a cartridge-style tape with two tiny reels in a casing. The Totsuko SA-2 Babycorder (Fig. 5.17) hit the market in 1957, probably based on these models. With the aim of becoming ultra-small and lightweight yet maintaining performance, it incorporated a transistor amplifer. Equipped with a cartridge like the Midgetape and operated with ten AA batteries, it was small in size and easy to use. More mobile than the M model, it was supplied in great numbers to broadcasters and other organisations. However, it disappeared off the market within a few years, as it was too highly priced at over ¥100,000 to become popular in general use. Nevertheless, Totsuko’s commitment to developing smaller, lightweight models became typical of later development trends in the consumer electronics industry. Around 1959-1960, export manufacturers began to make large quantities of “reel-driven” battery-operated tape recorders, in which the tape was driven only by the rotation of the reel. While these could be regarded as copies of a reel-driven tape recorder made by a German manufacturer in 1958, they were mainly made for export to the United States, being quite simple in construction and relatively easy to manufacture. The reel-driven machines had no capstan to move the tape at a constant speed; they simply recorded by rotating the winding reel at a fxed revolution and thus could be built with a very simple mechanism. However, since the tape speed changed from the start of the tape to the end of the tape, recordings could only be played back on the machine on which they were recorded (self-recording) and were not compatible with any other machine for playback. The variation in recording and playback performance from the start of the tape to the end of the tape also meant that it was difficult to develop this into a high-quality recorder. These tape recorders never appeared on the Japanese domestic market. With their simplified performance and low price, many of them were little more than toys. Meanwhile, proper battery-operated, capstan-driven, portable tape recorders gradually grew in number. By the mid-1960s, tape recorders were well-established in the export market, although the simplistic, reel-driven models had disappeared. This led Japanese manufacturers to work on the compact cassette style tape recorder. Sony launched its battery operated, portable tape recorders, such as the performance-enhanced, capstan-driven SA-2 Babycorder for business use and the tiny TC-902 for personal use, but they did not always meet with success. but could achieve no definitive advantage over industry leader Sony (Totsuko). Matsushita determined to establish its own place in the market, setting its sights on the battery-operated tape recorder, which Sony had not yet mastered. In those days, the greatest obstacle to battery operation was the lack of good quality, small-scale DC motors. With the help of its battery and device departments, Matsushita set to work on basic component development, such as simplifying mechanisms and improving motor efficiency. In December 1960, it completed the RQ-112 (¥37,500). The following year in 1961, it launched the improved RQ-114 model, laying the foundation for battery operated, portable tape recorders and leading to the best-selling RQ-102 in 1965. Motivated by the developments among the latecomer manufacturers, Sony launched the TC-800 (¥36,000) in 1966 (Fig. 5.19), with a built-in, direct drive servo motor. Development competition grew increasingly fierce among the major manufacturers, ushering in the compact cassette era. Tape recorders enable multiple-track recording on the same tape. In principle, it is very simple to create the stereo effect. While disc records were the mainstream medium of the music industry, the question of how to record (cut) and play back a single sound as two signals presented a very diffcult problem. In 1931, British electronics engineer Alan Blumlein patented the idea of a 45/45 system to record separate signals from the left and right walls of the groove in a record, although this was not put into practical use until after LP records appeared in 1958. While magnetic stereo recording experiments had been carried out in 1939 on steel wire recorders, the two-track recorder released by the US company Magnecord in 1949 was the frst tape recorder to incorporate stereo sound. Anmerkung : Das stimmt nicht, denn das AEG K7 von 1944 war das erste Stereo Magnetbandgerät der Welt. Die Aufnahmen existieren heute noch. The head placement was the so-called staggered type (Fig. 5.20), where the two channels are set slightly apart from each other. Given the head manufacturing technology available at the time, it was diffcult to achieve the manufacturing precision required to have two tracks on one head; there was no choice but to have a separate head for each track. By the late 1950s, many stereo tape recorders were being sold in the United States, including machines for home use. Rapid progress was made on the speaker-less “stereo tape deck”, as it could be used in the home in conjunction with other audio equipment. It was easy to use because it worked on the same machine as a record player and the cost was relative to the improvement in performance. Advancements were also made on head technology, and the stacked arrangement (Fig. 5.21) soon replaced the staggered. Although stereo tape records (music tapes) grew in popularity as the stereo playback media of choice in the home, they quickly lost their top spot in the market when the cheaper stereo LP records went on sale. Stereo tape recorders had a slow start in Japan, although when stereo FM broadcasts started in earnest around 1970 tape decks grew tremendously in popularity as a means to recording these broadcasts. To begin with, all tape recorder amplifer units used valves, but with the increasing use of the transistors in electronic equipment, researchers began examining their application in tape recorders. In 1959, Hyfax incorporated transistors into its TR-100S stereo tape deck; however, it went off the market almost immediately as the product was somewhat imperfect: the transistor is a diffcult component to get right, producing a lot of unwanted noise and causing the amplifer to behave erratically. Accordingly, the first proper transistor tape recorder in Japan was the TC-777 (Fig. 5.22) produced by Sony in 1961. Although it was monophonic, the TC-777 was a semi-professional, high quality machine with three heads, three motors and electronic operating buttons. It also had built-in power amplifers and speakers. It was very popular with its extremely high cost performance, and was outstanding in design as well. Its successor, released in 1964, was a stereo tape deck. From then on, there were rapid advancements in the use of transistors in tape recorders and this became a feature of battery-operated, small-scale compact cassette players. The frst proper tape recorders began to appear after the war and rapidly replaced the disc-style recorder. By the 1960s, tape recorders were the first choice of recorders from business use to home use. They became indispensable equipment for broadcasters and recording studios and were well-received in other industries, such as music production, where multi-track recording enabled new musical works to be created. The superior features of the tape recorder mesmerised many audiophiles and it now became a popular piece of household audio equipment. However, from the beginning, these tape recorders were all “open-reel” machines that needed reels of tape to work. In order to maintain high quality, open-reel tape recorders had to have a high tape speed, which used up a lot of tape. This meant that the reels and the overall machine had to be quite large in size. Of course, there were smaller machines, but many of them had to compromise on features or recording time. The fact that these tape recorders needed reels of tape to work meant they were diffcult for the average person to use. People ran into various difficulties, such as the tape on the reels being damaged by careless treatment, or the tape coming unwound and jamming. Although studies on using the tape in a cartridge (case) as a way to overcome these shortcomings had been made quite early on after the war, nothing practical had eventuated from these studies. Stereo tape decks came into popular household use as a means of stereo playback from around the mid-1950s in the United States. Quite a number of music tapes (bespielte Bänder) went on the market around this time as well. Although the 45/45 stereo LP record became quite popular after it hit the market in 1958, the stereo tape recorder remained the main item of household audio equipment in the United States until the mid-1960s. Given the popularity of music tapes, RCA set about researching cartridge-style tape recorders quite early on. In 1958, RCA Victor announced its cartridge-style tape (Fig. 6.1) and put around 150 kinds of music tapes on sale along with the tape recorder. Measuring 184×120×12mm, the cartridges were larger than the compact cassettes that would later emerge. The tape was 6.3mm in width, the same as that of the open-reel machines, while being 25µm thin and 600ft (around 180m) in length. The tape ran at a speed of 9.5cm/s; the four-track, two-channel stereo setup could record or play back for 32 minutes at a time. However, it was diffcult to maintain precision in the cartridge itself when it went into mass production. It required a narrow head gap to achieve the desired level of recording/playback performance, which was impossible to achieve with the manufacturing and components technology available at the time. This made it difficult to ensure product quality. Manufacturers were not willing to come on board and the attempt ended in failure. Anmerkung : Daß 2 Jahre nach RCA auch Columbia Records einen Anlauf für ein Kassetten-System auf der Basis einer eigenen "Cartidge" gemacht hatte, wird hier nicht erwähnt ?? As audio equipment became more popular for home use in the United States, it spurred a demand for the development of in-vehicle audio equipment, or the car stereo. In-vehicle entertainment started out with car radios and rapidly gained momentum in response to user demand, with innovations such as car audio equipment using disc records (Fig. 6.2). Development also began on cartridge-style tape recorders intended for car audio. Vibration is a major issue in vehicles and disc players were never very popular in cars, as this was a very difficult problem to overcome. However, vibration resistance is one of the strengths of tape recorders, making this issue relatively easily to overcome. As well as needing to be smaller than the existing models, tape recorders for car stereos could only be cartridge-type machines, to ensure operability and to store the tape safely. The Fidelipac cartridge went on sale in the United States in 1962 and became very popular for in-vehicle use. These cartridges measured 102x133x24mm and held a 6.3mm tape in an endless loop. With a four-track stereo system (two stereo programmes) and a tape speed of 9.5cm/s, these tapes could play for ten minutes (Fig. 6.3). In 1965, US company "Learjet" put out an eight-track cartridge that was around the same size as the Fidelipac (102x136x22mm) (Figs. 6.4, 6.5). The tape width and speed were also the same as the Fidelipac, but with eight tracks (four stereo programmes) it could play for around 60 minutes. The eight-track was a success and it soon beat all competition to become the standard car stereo. In a short space of time, it had spread throughout the United States. The early car stereos in Japan also used the eight-track cartridges. These cartridges became the popular choice of car stereo tape, becoming the forerunner of later developments in the CD/ laser disc karaoke machine. As the car stereo was growing in popularity and the endless-loop cartridge tape was emerging onto the scene in the United States, a twin-hub cartridge tape was attracting attention in Europe: the “Compact Cassette” developed by the Dutch company, Philips. While RCA, mentioned in Section 6.2, had planned to release its own cartridge design to European tape recorder manufacturers in the hope that it would be popularised in Europe as well, no manufacturers were willing to take it on and the RCA cartridge ended in failure. Both cartridge types were smaller than the RCA cartridge, while the tape width, tape speed and other characteristics were based on a completely new, easy-to-use format completely unrelated to the open reel specifications. It seems that Philips did NOT originally set out to make the patent freely available, but it eventually switched to its free-patent policy while competing with the opposing DC International format. 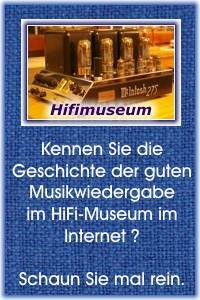 Around 1963, Grundig proposed to Sony, that they jointly promote the DC International format; soon afterwards, Philips made the same proposal regarding the Compact Cassette format. Philips also approached other Japanese companies in regard to adopting the Compact Cassette format, proposing a royalty fee of ¥25 per piece. When Sony seemed inclined (geneigt) to decline (abzulehnen), Philips pressed for a contract at a drastically reduced price. Sony fatly refused (lehnte ab) and Philips finally announced it would offer the licence to Sony for free. Then, in the light of antitrust laws and its business credibility, Philips made the bold move in 1965 of making the basic patent available to all manufacturers worldwide rather than just to Sony. Anmerkung : Hier steht also der Grund, warum Max Grundig so sauer auf die Philips Leute war. Sie hatten ihn wissentlich und quasi hinterrücks und hinterlistig hintergangen. One of the conditions of this was that manufacturers should “strictly adhere to the standards and strictly maintain compatibility”. This served as a huge boost to the spread and development of the Compact Cassette. The Compact Cassette format was strongly focused on compatibility. Unlike the open-reel system, it was compatible with mono and stereo (Fig. 6.7). The system of putting strict standards in place and incorporating all kinds of innovations within the scope of these standards to produce a superior product not only gave users greater convenience and greater confidence in the product and format, but also prevented innovative technology from being short-lived in the marketplace. This was the perfect way for Japanese manufacturers to demonstrate their talents. Anmerkung : Später haben aber doch einige japanische Firmen gegen diese Restriktionen/Auflagen der freien Lizenz verstoßen und weitere Geschwindgkeiten eingebaut. The "Compact Cassette" started out as a monophonic note-taking machine (Diktiergerät) with none of the so-called Hi-Fi capabilities for music playing. When Philips brought it onto the market, the company first made a cautious test sale. While this was defnitely successful in terms of laying the foundation for the Compact Cassette system, a few key technologies needed to be developed before it could achieve Hi-Fi capabilities with a slow tape speed of 4.76cm/s and a narrow track width of 0.6mm (one stereo track) and become a mainstream tape recorder for music use. For the tape recorder to produce a sound that was closer to the original, it needed a wide frequency response and a guaranteed dynamic range. This became the target of technological development. In terms of the mechanical performance of the running of the tape, it was also very important to have a steady tape speed and to ensure the head stayed in constant contact with the tape without disturbing it. Open-reel machines achieved better performance by increasing the tape speed and broadening the track width. Relatively free from structural design constraints, it was also easy to improve the running performance of the tape on these systems. Although there were some disadvantages with the open-reel machines, such as their bulkiness and high tape consumption, they were the best option in terms of consistent sound quality. Since the Compact Cassette used far less tape than the open-reel systems, as shown in Table 6.1, and had to adhere to certain standards, there could be no change in tape speed or track width. Consequently, to improve its basic recording performance, improvements had to be made to the magnetic substance on the tape and to the head that played the tape. It was also difficult to ensure the accuracy of the tape operation, since the tape system was contained within the confnes of the cartridge and the mechanism itself was tiny. Consequently, another major challenge was to develop and improve the precision of the motor and parts. The major technology challenges within these various constraints are given below on a priority basis. Tape recorders had their beginnings after the war in the form of open-reel machines. As well as having good sound quality and long-playing capabilities, these were easier to use than the disc-style recorders and soon gained popularity as the recorder of choice. As they reduced in price, they became popular audio equipment for home use, with music tapes also becoming available on the market. However, the open-reel machines were bulky and somewhat cumbersome to use, which prevented their popularity from spreading even further. As discussed in the previous section, a number of ideas were put forward in the 1960s to encase the tape in a cartridge. This is when the Compact Cassette hit the market as the more orthodox of these cartridges. Although at first it fought with other formats for dominance, the momentous decision by Philips to licence its patent free of charge to manufacturers worldwide succeeded in making it the de facto international standard very early on. Unifying the format meant that not only endorsed manufacturers but also members of the surrounding industries, such as materials manufacturers and parts manufacturers, could also confidently make development investments into the Compact Cassette format, thereby creating a virtuous cycle of rapid technological enhancement. product than the open-reel system, the developers focused on improving the limited recording and playback performance by making various essential technological developments with the tape recorder, such as working on the tape, heads, noise reduction and servo control. By the early 1970s, the cassette deck was a fully-recognised piece of audio equipment. Cassette deck tape recorders had come to be acknowledged as proper magnetic recording machines and not just toys. The Philips EL-3301 cassette recorder was frst released in Japan in May 1965, ushering in Japan’s Compact Cassette era. The frst sales were not made by electronics stores, but rather by the department store chain Mitsukoshi. At ¥27,000, they were quite highly priced, but they seem to have sold out immediately thanks to ingenious PR and choice-goods sales floor management by Mitsukoshi, which at the time had a reputation for sophistication (Fig. 6.8). The following year in April 1966, Matsushita Electric launched the EL-3301T (Fig. 6.9) with Philips as the OEM; in June that year, Aiwa released the first domestically-produced model. By the end of the year, Sony, Sanyo, Columbia, Standard and a number of other companies had launched similar products. By 1967, fierce development and marketing competition had begun, with almost all of the major Japanese audio equipment manufacturers having a Compact Cassette product line-up. By the time the Compact Cassette appeared, tape recorders had a diverse range of applications, such as learning tools for studying. Although there had been a lot of competition to develop a high quality tape deck for recording music, everyday tape recorders for home use were battery operated, monophonic devices and, to a certain extent, fairly low priced. While the 3-5” open-reel tape recorders for home use had been fairly well-received on the market, they were big, heavy and diffcult to use; the users had to know how to work the machine and mainly tended to be young people such as students. The appearance of the Compact Cassette presented an opportunity to expand the target consumer group to include those who had previously not been considered, such as women and the elderly. This provided a huge boost to the tape recorder market for home use. With the range of target users expanding to include a wider range of ordinary people, the external appearance of the tape recorder inevitably underwent some design changes to make it more appealing; an increasing number of Compact Cassette machines were flat in shape with built-in microphones and piano-key button operation (Figs. 6.10, 6.11). Stereophonic machines that doubled as tape decks appeared in the product lineups alongside the general monophonic machines. Compact Cassette machines were becoming the mainstream tape recorders of choice. Sony brought out its first Compact Cassette tape recorder, the TC-100, in 1966. Operated by AC mains, battery or car cigarette lighter, its cassette pop-up mechanism, piano key buttons and other features made it easy to use in terms of function. It was quite deep and rectangular in shape, closely resembling the early Philips machines, and was usually only used on a desk. To fully play on the strengths of the Compact Cassette, tape recorders had to be user friendly, with one-hand operation and an input microphone. Of course, they also had to be small, lightweight and battery-operated. In 1968, Sony released the TC-50 (Fig. 6.12), featuring an inbuilt microphone for dictation, one-hand operation and an original shape. This model could be seen as an attempt at downsizing the Compact Cassette player. The operability and mobility afforded by the inbuilt microphone was well-noted; the machine received much attention thanks to its use by the crew aboard the Apollo 10 spaceship (Fig. 6.14). Since these devices were intended more for DC operation, battery lifespan was also a major issue. Reducing energy consumption was the prime focus for this category of product. The concept embodied in the TC-50 continued in its successors. It was followed by the TC-1000 (1972), which had various improvements in function and performance, such as an anti-rolling mechanism and auto-shutoff feature, as well as improved operability through its button-type operation. By 1978, the series had developed as far as the TCM-100 (Fig. 6.13), which, complete with a coreless motor, became the mother of the frst “Walkman”. Ultra-small, handheld tape recorders such as the TC-50 were often used in business for tasks such as data collection. Proposals were made to design standard home-use tape recorders in such a way as to make them useful for business purposes as well. Developers began focusing on downsizing and especially slimming down these machines, so that as well as being functional, they could be used on a desk or put in a briefcase. A slimmed down tape recorder was the engineer’s dream. Rapid improvements in technology among parts manufacturers in the early 1970s meant higher-precision parts, enabling the design of mechanisms that were thinner than had previously been possible. In 1975, Sony released the ground-breakingly slim TC-1100 (Fig. 6.15), only 29.5mm in thickness. Not only was this model slim, it also had a surface area comparable to that of a “Kappa” book, a well-known style of paperback with a defned size of 11 x 17cm. With this very smart, impressive design, it was a success, with endorsements ranging from business use to home use. The single Compact Cassette tape recorder can be said to have developed from the TC-50 into the handheld headphone stereo, reaching its fnal form in the slim models such as the TC-1100. For a long time, the TC-1100 series dominated the general tape recorder market for business and home use, bringing out similarly-sized multifunctional devices that incorporated radios, as well as other follow-on models with better designs. Fig. 6.16 shows the mechanism of the TCM-280, one such follow-on model. The design makes much use of stainless steel in various parts such as levers, allowing thinness as well as strength. The slim, brushed DC servomotor uses counter-EMF. The permanent magnet DC erase head reduces electric current consumption, while the standard-sized recording/playback head is of permalloy (Fig. 6.17). In 1973, eight years after the Compact Cassette appeared in Japan, Sony released the portable TC-2850SD (Fig. 5.12), a Hi-Fi deck. Even though this model was battery-operated and portable, it had all the capabilities of a proper tape recorder, equipped with a high-grade microphone amplifer, a Dolby noise reduction system and a high-quality recording amplifer. Since its functionality and performance were outstanding for a portable Compact Cassette player, it came to be known as the “Cassette Densuke”, inheriting the pet name that had been used for portable, business-use tape recorders. The introduction of this model triggered a “live recording boom”, with a slogan describing it as “no ordinary deck mechanism”. It also played a major part in boosting the confidence of general and business users in the sound quality and potential of the Compact Cassette. Even though the TC-2850SD was a high-performance model, its mechanism was the standard format of the day; the focus had been on higher quality recording and stable performance rather than downsizing it and including an amplifier unit. With the success of this model, a number of other similar high-performance, portable Compact Cassette recorders were produced. Five years later in 1978, Sony released the TC-D5 (Fig. 6.18), combining both small size and high performance. While the “live recording boom” had died away, the TC-D5’s small, sharp-looking design and outstanding basic performance were highly regarded. The model became a long seller, being well received by users serious about sound quality, from high-end amateurs to professionals. However, small-scale, portable tape recorders had one weakness: the rotational accuracy of the capstan, which was the pivotal part of the tape drive. To improve this accuracy and also to prevent the rotation being disturbed by external interference, the TC-D5 incorporated a “disc-drive” driving system. The basic confguration of this system was a small coreless motor in direct contact with a rim-driven flywheel on the capstan spindle, with a frequency generator fitted onto the fywheel to detect rotation. Ingenious details such as the materials used and the contact pressure on the motor pulley and the flywheel allowed the driving force to be transmitted cleanly while preventing the motor from vibrating (Fig. 6.19). While the early Compact Cassettes lacked the capability for music recording, Japanese audio equipment manufacturers worked hard on improving performance within the tightly constrained (unverrückbar festgeschriebenen) standards, revising and improving the tape heads and the drive system, including the mechanisms and the motor. The resulting superior cassette decks hit the markets as fully recognised items of audio equipment. The Japanese audio equipment industry steadily gained confidence through competitive development and eventually decided to set new, Japan-specifc industry standards. The Micro-Cassette is a tape recorder that uses small-scale cartridges around one quarter the size of the Compact Cassette. The tape width was 3.81mm, the same as the Compact Cassette, while the available tape speeds were 2.4cm/s and 1.2cm/s. With standards set by Olympus, it was put on the market in 1969 as the Pearlcorder. In 1974, Olympus, Sony and Matsushita set their own standards together and each company released a small-scale memo recorder. While it gained some popularity due to its small size, it never reached as extensive a range of uses as the Compact Cassette. The Elcaset was a tape recorder standard jointly developed and announced in 1976 by Sony, Matsushita and TEAC that combined the sound quality of the open reel with the ease of use of the Compact Cassette. The tape width was 6.3mm, the same as the open-reel machines, and the tape speed was 9.5cm/s. The tape came out in A6-sized cartridges. Although products were developed and marketed by the three companies, they were not widely popular and soon disappeared from the market. While both of the above new Japanese standards sought to perfect aspects lacking in the Compact Cassette, they were not widely popular. They were neither very marketable nor very necessary, since they served only to supplement what the Compact Cassette lacked. Compact Cassette machines had had a head start in development; they were also being produced in large quantities and therefore at lower cost. However, Japan’s achievements in developing international standards proved to be an invaluable experience when Japan later led the world into the digital era.